Students who plan to participate in an extra-curricular activity during the 2019-2020 school year are required to have a physical on file. 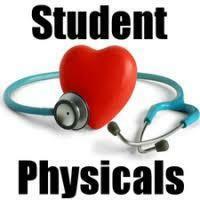 The school system will offer FREE physicals on Thursday, April 11th from 6:00 - 8:00pm in the Ware County High School gymnasium. Parents/guardians who are not able to bring their children at that time may have the physical completed by their family doctor or other healthcare provider. Please have the provider use this form to record his or her findings. Please contact the Athletic Director at your child's school if you have any questions.